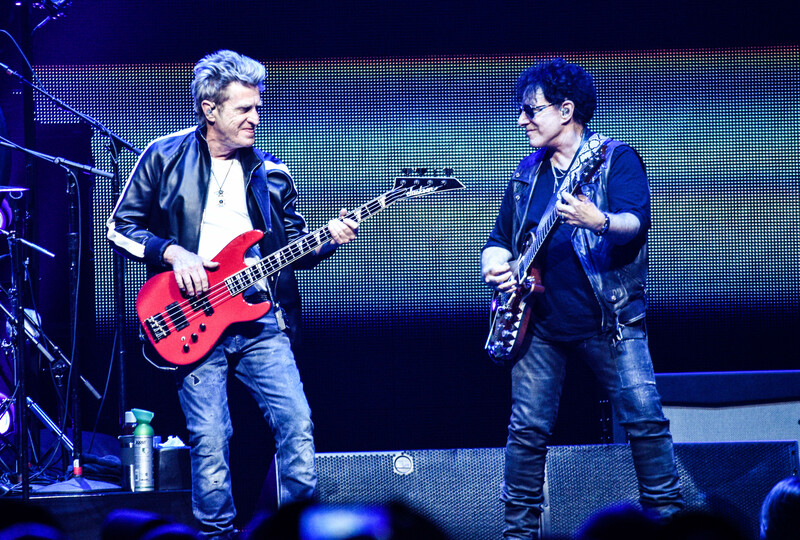 Whenever Journey and Def Leppard come to the area they usually play at the Darien Lake Amphitheater. 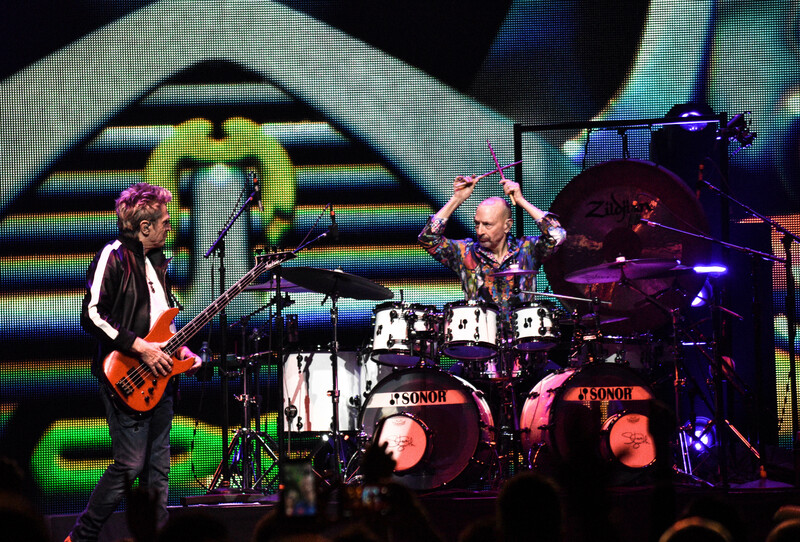 Saturday the double bill touched down instead in downtown Buffalo at the KeyBank Center. 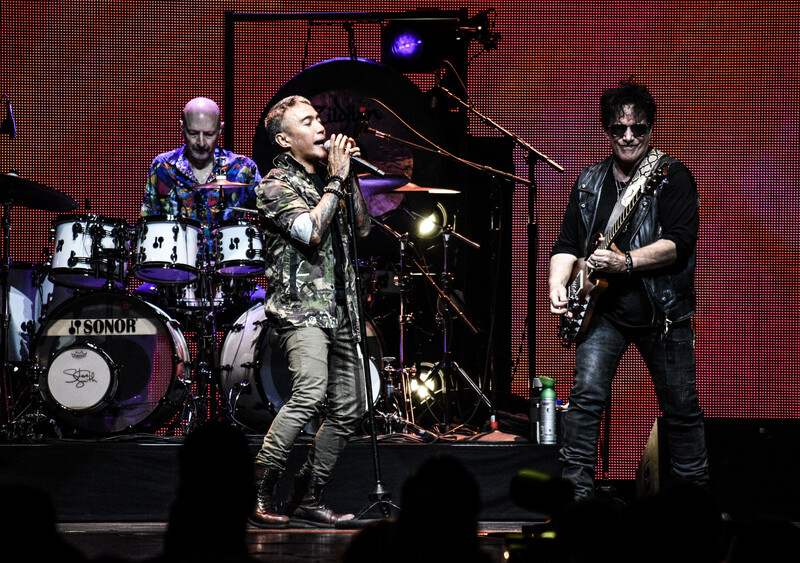 It marked Journey’s first appearance in the city since a 2003 outing with Styx and REO. For Def Leppard it had been even longer as they last played at the Memorial Aud in 1993, some 25-years ago. The bands are co-headlining and are alternating on opening and closing each show. 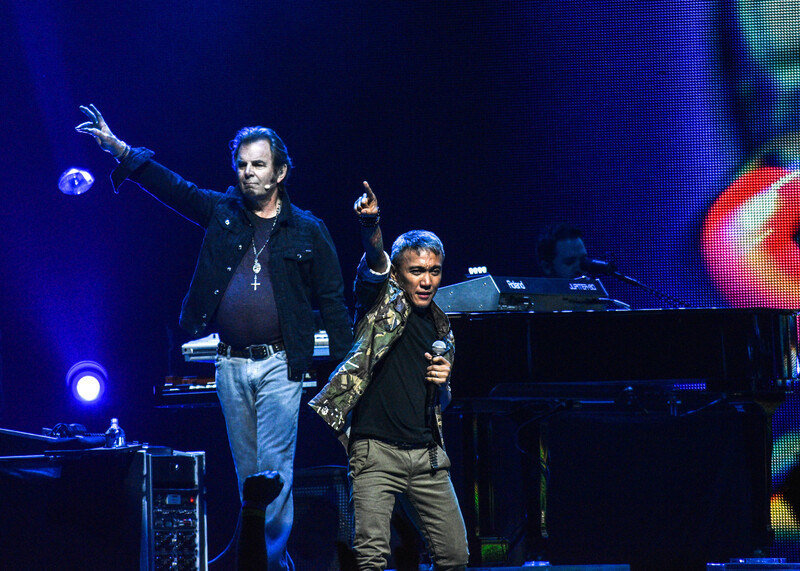 This also marked the first tour together for both bands as they last toured side by side in 2006. 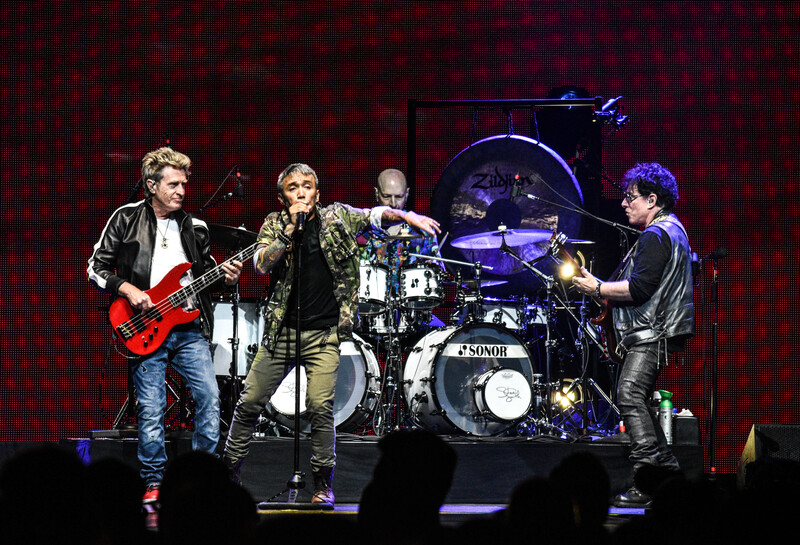 Journey has had quite a unique history where they’ve gone through a few singers over their illustrious career. 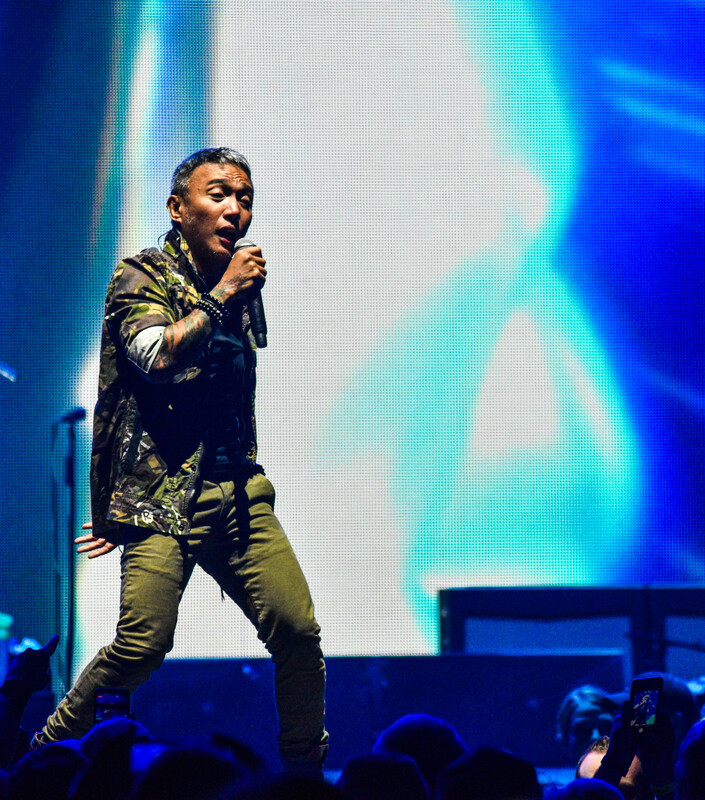 Their current singer Arnel Pineda has been in the band now since 2007, longer than any singer with the exception of Steve Perry. 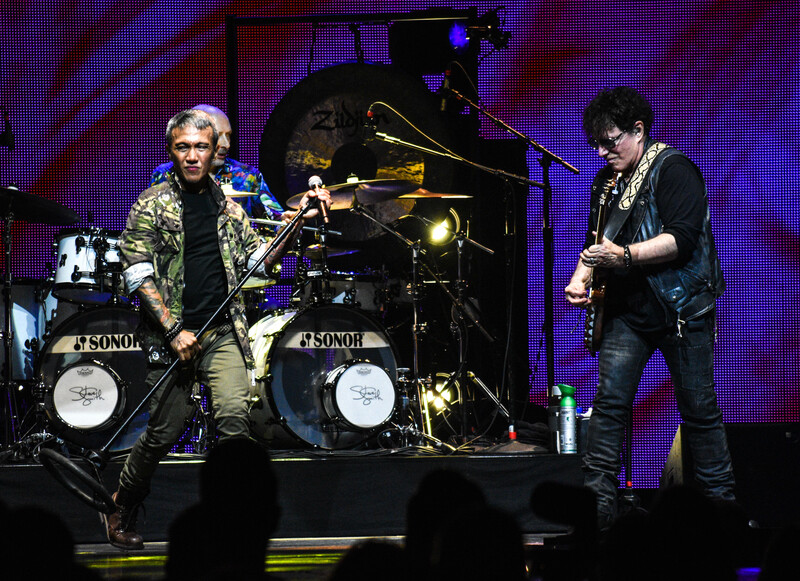 Pineda has recorded two studio albums with the band including the vastly underrated Revelation album. After witnessing Pineda’s performance Saturday night it is safe to say he has really grown into his role. 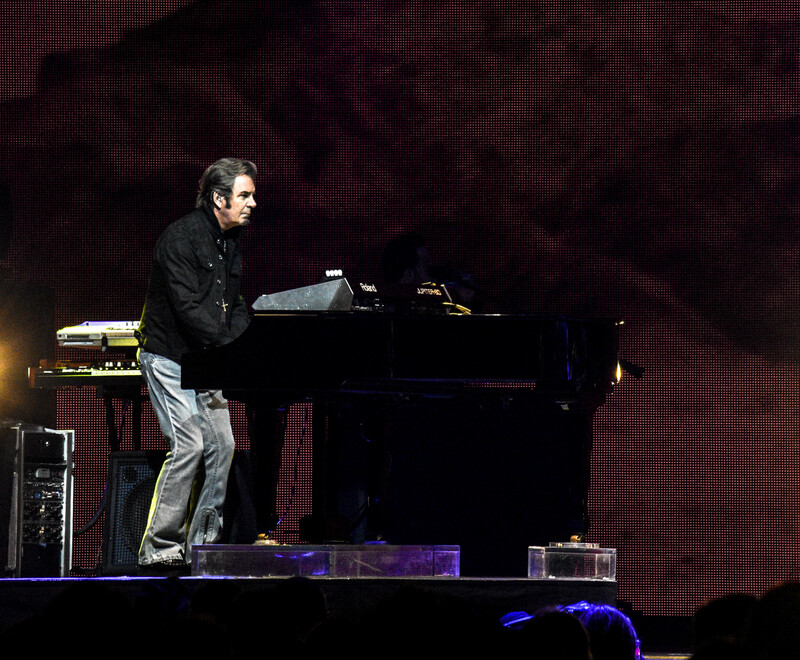 Pineda sings the old songs with a passion and flair that not only does them justice but also makes them seem his own. 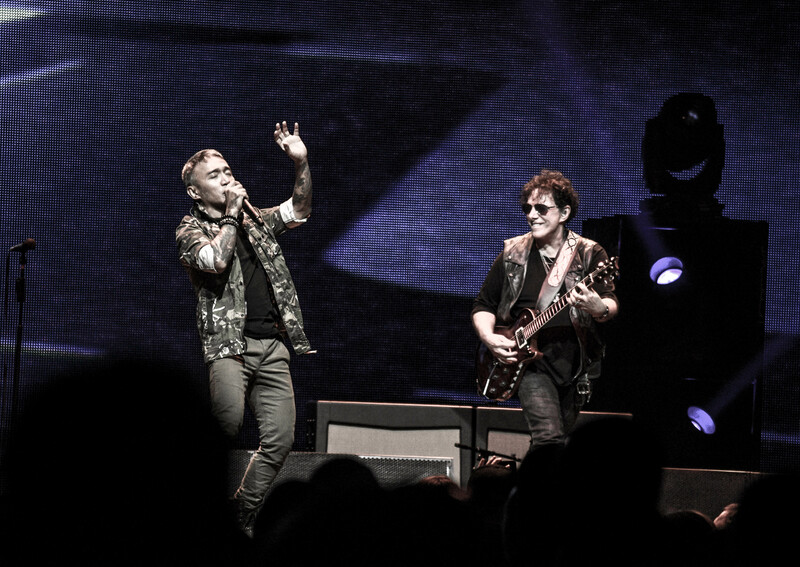 This show it was Journey’s turn to go on first as they started off their set with the one-two punch of “Separate Ways” and “Be Good To Yourself”. The third song was where the band threw a little curveball. I had previously mentioned how nice it would be to have a track from one of their last two albums in the set and the band complied. 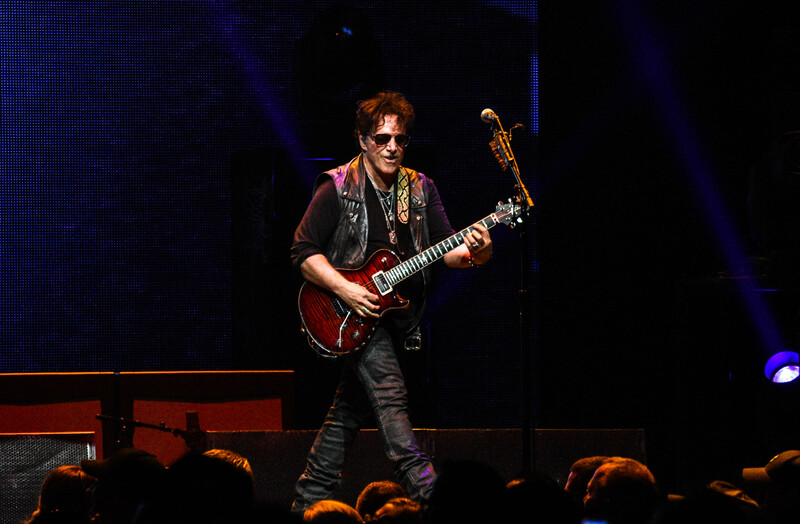 For the first time since 2012, the band dug out “Where Did I Lose Your Love” from Revelation a much welcomed surprise. From there the band mixed in its many hits alongside “La Do Da” which also included a Steve Smith drum solo that had the crowd engaged. 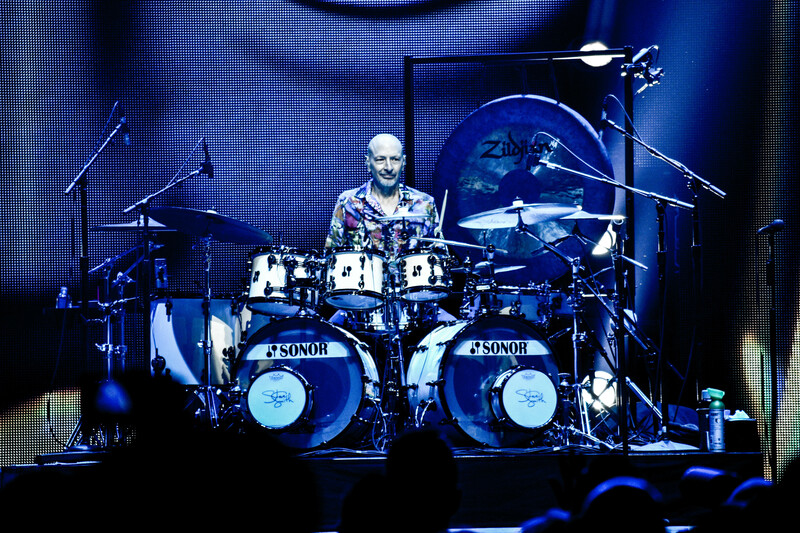 Nothing against other Journey drummers but having Smith back behind the kit is a noticeable difference. 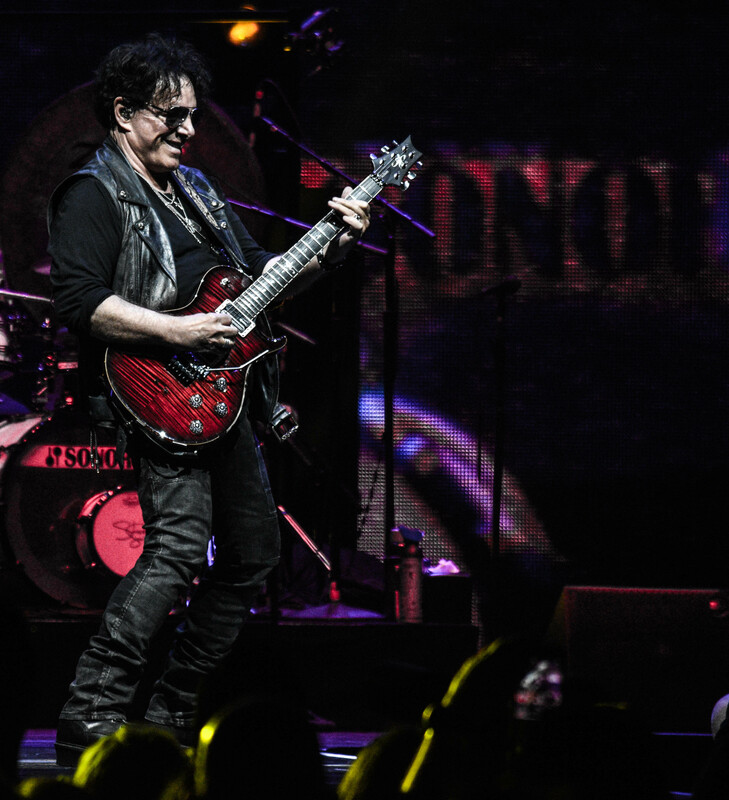 The mainstays in the band guitarist Neal Schon, bassist Ross Valory and keyboardist Jonathan Cain along with Smith were inducted in the Rock and Roll Hall of Fame in 2017. 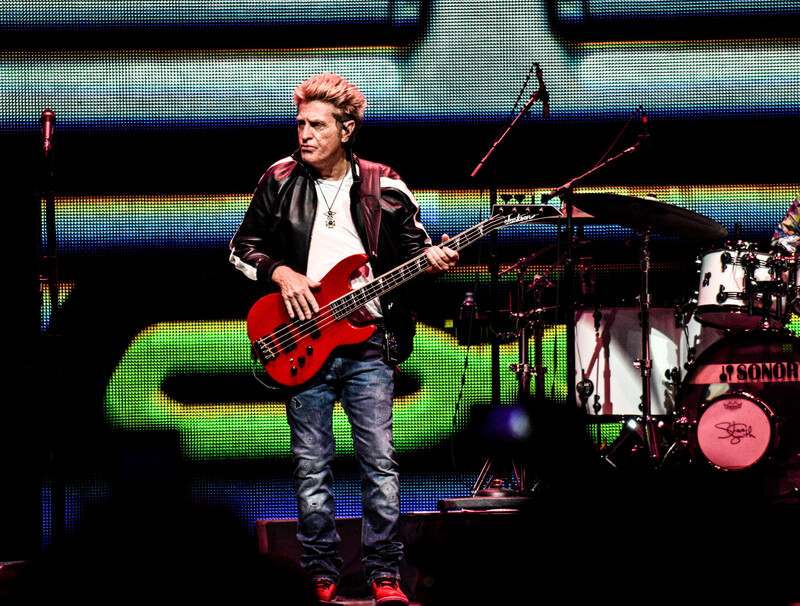 The band has accumulated quite the number of accolades with “Don’t Stop Believin'” becoming the best-selling digital track from the pre-digital era. The song never fails to raise the excitement level in one of the bands shows. As the band closed out their main set with it Saturday night, the crowd was perhaps the loudest it had been all evening. After only four dates of this current tour the band seem to have their set down pat. 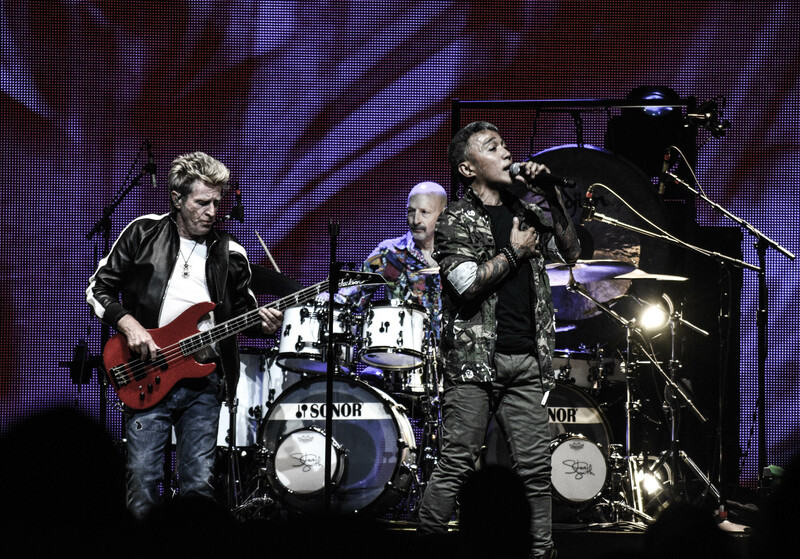 With so many other songs the band can play perhaps they will slowly change their set up here and there after all it is a massive 60 date tour and there is still a very long way to go. They are just getting started. 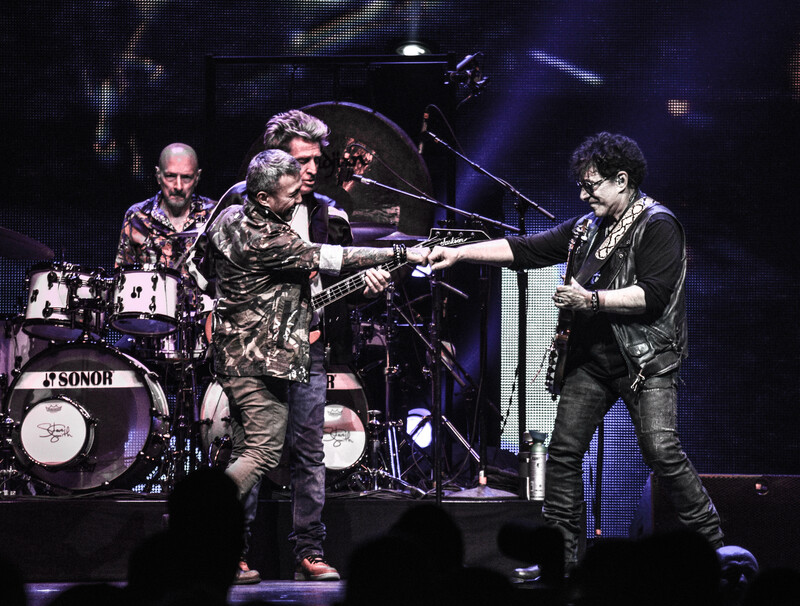 Join them in a city near you, you’ll be glad you did.